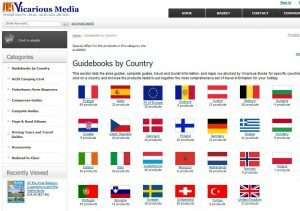 Every time we think we know the whole range of European motorhome guides available from this great British company, they tell us about a new one! 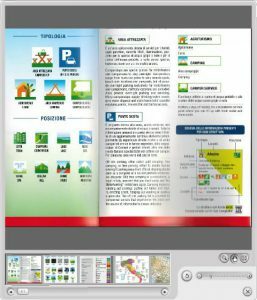 Vicarious Books’ latest e-mail has alerted us to the availability of an Italian guide to motorhome parking and service points. If you are heading to Italy in your campervan, this book is a must as the opportunities for wild camping in Italy appear to be non-existent compared to France. To date we have had to rely on campsites in Italy, which are quite expensive. It seemed to us that there was nowhere to pull up and spend the night inexpensively. (We’ve found that visits to Italy tend to be pretty pricey to begin with due to the shocking cost of motorway tolls and fuel.) But help is at hand from Vicarious Books with the ‘Italian Aree di Sosta CamperLife 2016/17’ guide. This great guide will ease the financial burden as you can avoid paying for campsites each night by staying at a motorhome stopover, known as an ‘aree’ in Italian (aire in French). The Vicarious team are currently preparing for their own grand tour of Spain and Portugal in April and May. You can follow their trip on Facebook, Twitter or Instagram to get some great tips if you are planning to visit these countries. 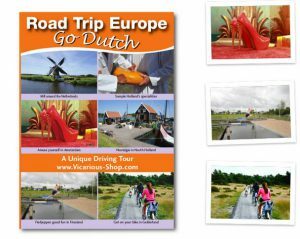 If you fancy a spring trip to see the Netherlands in bloom you can follow their driving tour “Go Dutch” which will immerse you in colourful spring flowers as well as providing details about “Keukenhof”, the most beautiful spring gardens in the world. Click the image to Go Dutch! For a Dutch trip, a guide to the “Aires” there (places to stay and service motorhomes) would come in handy and they have one of those too: ‘All the Aires Belgium, Luxembourg and the Netherlands’. Great job Chris, Meli, Pami, Sam and Ryan (Team Vicarious), we love what you do and we are jealous of your day job. The FMH team are busy handing over campervans for others to head off in while you are out exploring in them and calling it work! We have clearly taken the wrong path, do you fancy a swap? We’ll keep your order safe until you pick up your campervan. ← Lights, campervans and video ACTION!